I can honestly say, I’ve never had that problem. Because, my students were paying for the class, and, I knew that they would quit if they found no value in my teaching methods. I also always paired them with someone who was really hungry to learn, and was very serious in their approach. Students on the receiving end, were not eager to be struck no matter how lightly the aggressive student might strike them. The more aggressive students really blocked hard, motivating the other students to strike fast and hard. With every training session, everyone in the gym would stop even to watch the ferocity of the five (5) and six (6) year old students (they were so cute), especially when they performed kata. These were good kids who were not bullies. I cannot take any credit for the superb performances of my students, because availability to classes in Japanese Karate was rare in my area. 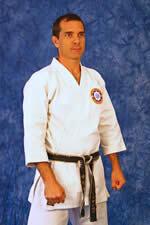 I therefore continued to get students who wanted to take advantage of any opportunity to learn Japanese style Karate. Hi Jose, it sounds like your students are probably more the “exception than the rule”. Congratulations! You must be engaging your students very well never to have had the issue of a flaky student. I’ve found with smaller class sizes it happens less often as students know they’re the focus of my attention and there’s nowhere to hide… so they give their best more often than not. With a larger class it’s more frequent for a small percentage of students to slack off. I always believe in quality not quantity, over the last 20+ year as an instructor i always maintained a small class approx 12 students, this way allows to focus on each student and help them develop the best way they can, obviously they are different in their ability physically and mentally, therefore as a teach you adapt your approach accordingly to get the best out of each student. I always state to them, “the end result is rewarding, push, push and keep pushing” and also “No pain, No gain”.